One of the things that families love most about our 2 bedroom condos in Gatlinburg TN is that each bedroom provides a level of privacy that you just can’t get in a hotel room! If you want to put the kids to bed and stay up late watching television, you don’t have to worry about keeping them up. You will also find that everyone can get a better night of sleep without being cramped up together in a traditional hotel room. That means you can wake up well rested to enjoy all of the fun activities that the Smokies has to offer! We are pleased to offer excellent rates to families seeking an affordable vacation in the Smoky Mountains! When you consider everything that is included in our 2 bedroom condos, you can clearly see that it is the best deal in Gatlinburg! If you want to save even more money, sign up for our last minute deals that make you the first to know about our special offers! All of our 2 bedroom condos in Gatlinburg TN come complete with a fully equipped kitchen with every modern amenity necessary to cook meals! This means that you can save a tremendous amount of money from dining out for every meal, especially when you are feeding an entire family! You can also save time in the morning by having breakfast in your condo rather than waiting for a table at restaurants. The only thing that you need to bring along are the groceries! We have plenty of excellent condo amenities at Olde Gatlinburg Place to ensure that you have a wonderful family vacation! If you are staying with us during the warmer months of the year, you and your kids will love splashing around in our heated outdoor swimming pool! You can pack light for your vacation at our 2 bedroom condos in Gatlinburg TN because we have laundry facilities for our guests to use! Whether you want to do a load of laundry at the midpoint of your vacation or return home with a suitcase full of clean clothes, you will appreciate this convenient amenity! 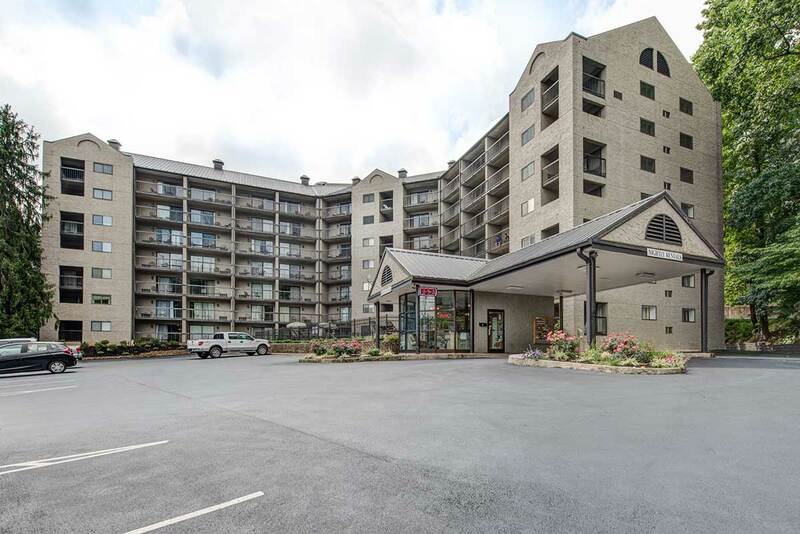 Our 2 bedroom condos in Gatlinburg TN are within easy walking distance of downtown Gatlinburg where your family can enjoy all types of fun attractions, shops and restaurants! Don’t miss Ripley’s Aquarium of the Smokies that has all types of fascinating sea life for your family to explore! Other nearby attractions include Ripley’s Marvelous Mirror Maze, Cooter’s Place and the Guinness World Records Adventure. Check out all of our 2 bedroom condos in Gatlinburg TN today to plan your family vacation to the Great Smoky Mountains! We look forward to your stay at Olde Gatlinburg Place!